I recently attended two events which made a big impresssion on me. In this article I try to bring together the main things that struck me. We all know what the problems are: inequality, climate change, migration, bigotry, ‘terrorism’, warfare, food poverty, obesity/malnutrition, loneliness, alienation and a sense of hopelessness, drug addiction (including alcoholism), etc. What are the solutions? Five proposals are outlined below. Unusually for someone who runs a small charity, I’m going to start by talking about business. When it comes to employment, big businesses are often treated as if they are the be-all and end-all. The truth is that small and medium enterprises (SMEs) employ more people, accounting for 60% of private sector jobs in the UK. Furthermore, they contribute more to the common good because they can’t make use of the elaborate tax-avoidance schemes used by transnational companies. Sadly, they don’t have the lobbying power of big business. Neither do they have the same association with revolving-door nepotism, which distorts policy-making. Fact: large organisations do not necessarily ‘create jobs’; they often destroy them. For example,Walmart (which owns Asda) destroys three jobs for every two it creates. ‘Has the charity sector replicated the business sector?’ – a question posed by someone recently at a workshop I attended. Whilst I’m not accusing the largest charities of using all the tricks big business uses, do they have disproportionate influence, finance and resources? It seems that Scotland’s large environmental charities, which make up a small part of the charity sector overall, may have recognised themselves that this may be an issue and are leading the charge to transform this. Their umbrella body, Scottish Environment Link, has launched Link Local, to help smaller environmental charities find a voice – highly commendable! We small charities (and I speak now as the voice of Leith Community Crops in Pots, one of hundreds of small environmental charities across Scotland) are coming up with innovative ideas for tackling the gamut of issues that society faces. Many of us are under-resourced and under-represented, so our ideas for making Scotland thrive are often overlooked; I shudder to think how many opportunities have been missed at a time when innovation is crucial. 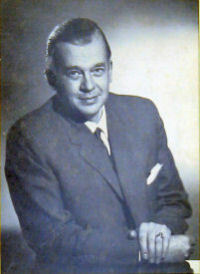 Ernst Friedrich Schumacher wrote the famous book, ‘Small is Beautiful’. oganisations? It is important that we take advantage of these opportunities. Finally, on the topic of ‘small is beautiful’, I must, of course, acknowledge Schumacher. Stephen Hawking outlines the dire situation in which we find ourselves. His suggested solution can be boiled down to: we need to learn to share. George Monbiot argues for the value of the commons. The notion of sharing is actualised in the commons approach. George Monbiot emphasises the value of common ownership. This is imminently practical on a small scale. The ‘enclosure’ of assets by private individuals and companies should be combated and reversed. The notion of the tragedy of the commons – the belief that shared assets will be destroyed due to individuals’ selfishness – is a dangerous myth which has been comprehensively debunked. Bruce K. Alexander, a Canadian expert on addiction (whose views are widely shared by Scottish drugs workers) argues that ‘psychosocial dislocation’ is at the root of most serious addictions, and that while a ‘galvanising alternative philosophy’ to what he terms ‘hyper-capitalism’ is required, a major element of any solution must be the restoration of community: people need to feel a sense of belonging. I have talked about the business and charity sectors, but what I haven’t talked about is where they intersect: social enterprise. A few days after the Environment Link Congress I attended Keep it Local, Strength in Numbers, the social enterprise conference held by Senscot, mentioned above. I got the impression that the social enterprises represented (most of which were small) were concerned by big businesses donning the mantle of ‘social enterprise’ – or paying its values and objectives lip-service – without embracing what social enterprise truly means. In other words, it seemed to me that they thought that ‘real social enterprise’ was being undermined by large businesses greenwashing their fundamentally antisocial and unsustainable practices. Mystic and philospher, Sadhguru Jaggi Vasudev, effectively argues that all businesses should be social enterprises. Government has less money, and local authorities have less money to tackle the crises we face. Can you visualise what your country might look like as a result of a thriving SME sector genuinely ‘social entrepreneurial’ in outlook, all focussing on the common good? What is the opposite of social enterprise? If you think about it, it is anti-social enterprise, which, sticking my head above the parapet, is largely what we have now (and what many of our pensions are invested in – do your own research if you don’t believe me). Corporate Social Responsibility should not be an add-on. Wellbeing – the only business! Indian mystic and philosopher, Sadhguru Jaggi Vasudev, puts it well, arguing that human wellbeing is the only business, and I contend that this is inseparable from environmental wellbeing: the health of the biosphere, of which we are part. So is there anything that brings all these proposed solutions together? You won’t be surprised to learn that I think small environmental charities/social enterprises do exactly this. We thought we were trapped! When did you last have a chat with your hairdresser about SCDI, and the City Region Deals? In an ideal world, it would be the last time you got your hair cut, because this is really important. However, when I got stuck in a lift with Ross Martin, the SCDI chief, who identified himself as working for this organisation, all I managed was a raised eyebrow when I heard the abbreviation. Ross immediately said, ‘Look at the blank expression on your face!’ I later discovered SCDI was the Scottish Council for Development & Industry, and that they were coming up with ideas for the City Region Deals. Clearly, there are many connections between the solutions – they are not unrelated to each other. I have already pointed out that the notion of the commons and the concept of sharing are practically inseparable. One could draw Venn diagrams, showing the considerable overlap between the solutions. For example, the concept of the commons, while vital on a planetary scale (think climate change: what we put into the air here has consequences in Africa, Asia, Antarctica…) is easier to grasp on a small scale, say in a community orchard, and the word ‘community’ shows the connection to that solution: people naturally come together around such an environment, even if for some it is only to comment to each other about it as they walk past. An orchard is also materially productive, lending itself to social enterprise: fruit, juice and cider production, and the teaching of horticultural skills, such as grafting. Think of the socail impact we could have! At the Scottish Environment Link event I mentioned above, I attended a workshop on economic development run by Ross Martin of the SCDI, amongst others. I was fascinated by how much the discussion on today’s challenges and solutions resonated with what we are doing in Leith. So much so that I felt reluctant to comment in case it was interpreted as self-congratulatory. In fact, as I have implied, many local organisations are doing grass-roots, cutting-edge stuff (excuse the mixed metaphor! ), and that is exactly why small organisations need a stronger voice. Small organisations must be heard! In the workshop to which he contributed, also Ross spoke about the City Region Deals, recently launched in Stirling: up to £1bn of public investment for long-term strategic planning and development for a region. This is about you and your children, and we should all have a voice in it. The large environmental charities perform valuable lobbying work (a valiant David against mega-corporations’ Goliath) but we smaller organisations provide the boots on the ground, and we need to get involved. We need to inject our ideas and insights into these schemes at an early stage, because our work amounts to ‘joined-up’ thinking. As I have implied already, our projects involve all the solutions mentioned above, and thereby tick multiple boxes in the silos of health, food, obesity, education, childcare crime/justice and the environment. Greenspace Scotland’s work on Social Return on Investment illustrates this perfectly. This work also demonstrates, of course, the nonsense of the silo approach to policy, and this, in itself, is something we should lobby to change. In particular, consideration of ‘the environment’ should not be omitted from anything that is supposed to boost ‘economic growth’. Economic growth, at the expense of the biosphere (of which we are part, a point I am repeating here, because it is so important), is stupid and will undermine itself. Small environmental charities and social enterprises are an important way forward. Here we are outside our soon-to-be-opened social enterprise cafe on Leith Community Croft.